In order to coordinate with the application of the Great Canal for the world cultural heritage, under the guidance and support of the State Administration of Cultural Heritage, from July 2011 to December 2012, Henan Institute of Archaeology and Shangqiu Municipal Cultural Relics Bureau jointly carried out a great scale archaeological excavation at the Bianhe site (Shangqiu--Nanguan section) and obtained a great achievement. 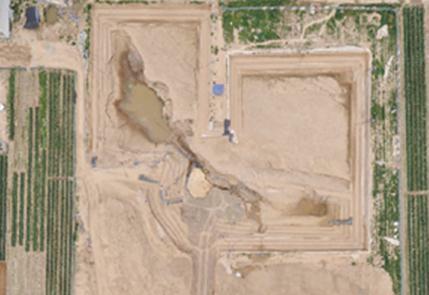 The Bianhe site (Shangqiu--Nanguan section) lied around the Laonanguan village and Yeyuan village in Suiyang District, Shangqiu city, Henan province. It is about 3.8km south away from the Shangqiu ancient town (the old town of Shangqiu county during the Ming and Qing dynasty) and about 2.5km away from the Song town during the Tang and Song dynasties (the Nanjing city during the North Song dynasty). In the Summer and Autumn of 2011, in order to better understand the distribution and deposit situation of the ancient canal ruins in the south of the Shangqiu ancient town and prepare for a large-scale excavation, Henan Institute of Archaeology used geological prospecting machine to carry out an archaeological prospection within a 4 square km area centered as the Yeyuan village. There were ancient soil layers and cultural layers with rich features discovered. In the cultural layers, there were bricks, tiles, pottery and porcelain fragments, as well as animal bone debris etc. dating from the Shang and Zhou to the Song dynasties. The cultural layers are varied in thickness and have varied numbers of includings. The cultural layers in Wuzhuang and Daguozhuang village have the biggest thickness and the most number of relics. The two lake-deposit ruins were found during the prospection and the ancient canal lied between Wuzhuang and Daguozhuang village. According to the results of multi-archaeological prospection, a large-scale excavation had been carried out within an area on the south of Wuzhuang village and the north bank of the ancient great canal from October of 2011 to May of 2012. It covered an areas more than 4000 square meters where there were an about 120 meters long canal bank and a 3000 square meters pier ruin extending to the river course discovered. On the surface of the ruins, there were lots of bricks, tiles, ceramics and other cultural relics found. The canal bank uncovered was about 9 meters high and it was a rammed-earth building with hard earth and compacted structure. The earth was in black and grey and was sticky. In the rammed-earth, there were large number of bricks, tiles, pottery, charcoal ash and so on, especially in the upper rammed-earth, there were laminar paved bricks, tiles fragments and burned earth layer. In terms of the rammed-earth deposit at the canal bank, the canal bank had at least twice heightening process with around 1.5 meters heightening respectively. On the surface before heightening in different period were different features, such as drain passages made of bricks, 井-shaped remains and so on. In addition, in the earlier rammed-earth layers of the canal bank, there was one well-preserved celadon jar with a 60cm height and a 60cm maximum body diameter. On the mouth of the jar, there was a black glazed porcelain plate covered. Obviously, these two artifacts were buried into the rammed-earth in purpose. However, there was not any distinguished remains found inside the jar, so the meaning of the burial should be further studied. From June to December of 2012, target-oriented archaeological excavations were carried out at the east and the north of Daguozhuang village within a limited area, in order to comprehensively and accurately disclose the width of the river course and the characteristic of the canal bank ruin. The excavation at the east of Daguozhuang village was to uncover the preservation situation and characteristic of the Bianhe south bank ruin, while the excavation at the north of the Daguozhuang village was to completely uncover the width of the ancient river course of the Bianhe River. Through the excavations at the three sites mentioned above, some explicit understanding on the ancient canal situation in this area was obtained. In terms of the characteristics of the unearthed artifacts, the canal bank ruins unearthed were mainly built during the Tang and Song dynasties and were abandoned during the Jin dynasty. The ancient canal course in the excavation area should be the Bianhe River ruins dating to the Tang and Song dynasties. From west to east, the Bianhe River covered near a 60 meters width and a large harbor was formed on the south and the north banks respectively. The north bank of the excavation area was steep and was rammed built. In the rammed-earth and the surface of the canal bank, there were large number of bricks, tiles and other relics. The east part of the south bank of the Bianhe River was relatively not steep and the rammed-earth was not relatively compact. The rammed-earth was pure with less including. While in the west part of the south bank, there kept compacted rammed-earth and richer artifacts both inside the rammed-earth and on the surface of river bank. The uncovered canal bank form was different from the trapezoid dike form of the general river bank, neither was heaped dike. It had the features of man-made water-front construction of canal wharf. The pier might have been one part of the wharf of the north bank of the Bianhe River, but it is difficult to have a conclusion if it had other functions. The both sides of the canal bank were 2-5 meters above the ground of that time and the features of above-ground river were obvious. It was assumed that the excavation area and its west part should be the Canal Market area of the South Bianhe River of the Song town dating to the Tang and Song dynasties according to the archaeological prospection and ancient literature. The excavation area was the wharf area in the Canal Market.